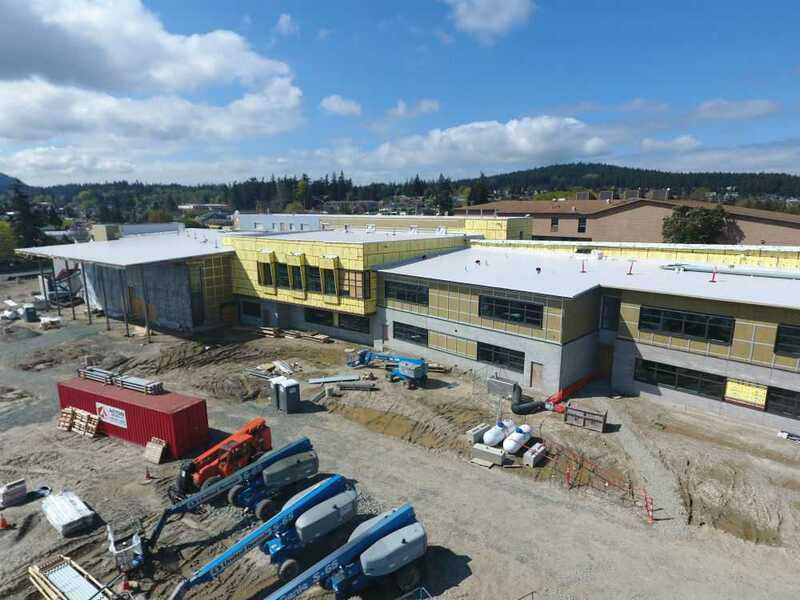 Anacortes High School - GeoTest, Inc. This project utilized a General Contractor/Construction Manager (GC/CM) delivery method and included both new construction and renovations. Two-thirds of the funding was set aside for construction of new classrooms, a commons area and new library. The remaining funding was used for upgrades to the Brodniak Hall and music rooms, gymnasium renovations and Rice Field upgrades. GeoTest provided building envelope testing and inspection services. These services included observation and inspection of multiple building envelope components including foundation waterproofing, under-slab vapor barriers, membrane roofing, insulation and the weather resistant barrier system.